2 disc live set for one of the most influential bands to emerge in the initial wave of punk rock. Recorded at the peak of their popularity, one disc from the 'Love Bites' tour, the other from 'Another Kind Of Tension' tour. 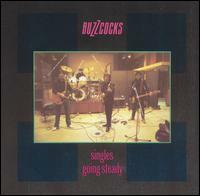 Taken from the master tapes & produced by current Buzzcock, Tony Barber. Includes un-published photos & in-depth liner notes. Recorded in 1978 at the Manchester Apollo and in '79 at the London Rainbow.